■ Hugo huwa film tal-avventura Amerikan tal-2011, 3D ibbażat fuq ir-rumanz storiku ta’ Brian Selznick The Invention of Hugo Cabret, ippubblikat fl-2007, dwar tifel li kien jgħix waħdu fi stazzjon tal-ferrovija f’Pariġi. ■ Il-film kien dirett minn Martin Scorsese u miktub minn John Logan. Koprodott minn GK Films ta’ Graham King u Infinitum Nihil ta’ Johnny Depp. Fil-partijiet ewlenin, Asa Butterfield, Chloë Grace Moretz, Ben Kingsley, Sacha Baron Cohen, Helen McCrory, Ray Winstone, Emily Mortimer, Jude Law u Christopher Lee. ■ Il-film jieħu ftit iktar minn sagħtejn (128 minuta). ■ Il-ktieb ‘The Invention of Hugo Cabret’, ta’ Brian Selznick, kien imnebbah minn xena mill-film Franċiż tal-1902 Vjaġġ lejn il-Qamar, li sar minn George Méliès – wieħed mill-karattri tal-film. Ħafna mis-silent films tal-bidu murija fil-film huma xogħlijiet veri ta’ Méliès bħall-imsemmi film. ■ Is-sett tal-istazzjon tal-ferrovija ta’ Pariġi nbena ġewwa x-Shepperton Studios ta’ Londra. Ix-xeni ta’ barra inġibdu on location f’Pariġi. ■ Hugo huwa l-ewwel film miġbud bit-3D għad-direttur Martin Scorsese. Scorsese ddeċieda li jiġbed il-film 3D għax xtaq li l-udjenza tħossha qiegħda ‘fil-’film mal-karattri. Huwa dderieġa l-film bi clip-on 3D lenses milbusin fuq in-nuċċali normali tiegħu. ■ Il-film irċieva riċensjonijiet tajbin ħafna, b’ħafna mill-kritiċi jfaħħru l-viżwal, ir-reċtar u d-direzzjoni. Xi uħud sejħulu l-aqwa film 3D tad-deċennju. ■ Fl-84 Academy Awards tal-2012, Hugo rċieva ħames Oscars — għal Best Cinematography, Best Art Direction, Best Visual Effects, Best Sound Mixing, u Best Sound Editing — u bl-ikbar numru ta’ nominazzjonijiet – ħdax. ■ Ħafna mill-ħajja ta’ Georges Méliès kif murija fil-film hija eżatta: tassew li beda jinteressa ruħu fil-films wara li ra dimostrazzjoni tal-kamera tal-aħwa Lumière, tassew li kien illużjonista u kien jaħdem il-ġugarelli, tassew li kien jesperimenta bir-robots, tassew li kellu teatru (Theatre Robert-Houdin), li spiċċa fallut, il-films tiegħu nħallu għaċ-cellulose, beda jbigħ il-ġugarelli fl-istazzjon ta’ Montparnasse u finalment ingħata l-midalja Légion d’honneur wara perjodu terribbli fejn kien assolutament minsi. ■ Id-disinn għar-robot kien wieħed ispirat minn dak li għamel arluġġar Svizzeru Henri Maillardet, li Selznick kien ra fi Franklin Institute, Philadelphia, u r-robot ta’ Jaquet-Droz “the writer“. ■ Emil Lager, Ben Addis, u Robert Gill jidhru ukoll fil-film bħala Django Reinhardt, missier il-kitarra jazz taż-żingari, Salvador Dalí, il-pittur surrealista Spanjol, u James Joyce, awtur Irlandiż. ■ Il-ktieb li Monsieur Labisse jagħti lil Hugo bħala rigal, Robin Hood le proscrit, inkiteb minn Alexandre Dumas fl-1864 traduzzjoni mill-oriġinal Ingliż ta’ Pierce Egan the Younger. ■ L-opening shot tal-film, fejn il-kamera ssegwi l-ferrovija fl-istazzjon, ħadet sena biex kienet lesta. Intużaw 1,000 kompjuter biex isir kull frame. Fl-1931, Hugo Cabret (Asa Butterfield), tifel ta’ tnax-il sena, kien jgħix ma’ missieru armel (Jude Law), arluġġar mustaċċun f’Pariġi. Missieru kien jieħdu jara l-films b’mod speċjali dawk ta’ Georges Méliès. Il-missier imut f’nirien li qabdu f’mużew, u Hugo beda jitrabba minn zijuh (Ray Winstone), arluġġar sakranazz li kien jieħu ħsieb l-arloġġi tal-istazzjon tal-ferrovija Gare Montparnasse. Zijuh jgħallmu jieħu ħsieb l-arloġġi imbagħad jgħib. Wara jinstab li jkun għereq. Hugo jgħix fl-istazzjon, isewwi l-arloġġi, jisraq l-ikel, u jaħdem fuq l-iktar proġett ambizzjuż ta’ missieru: isewwi automata, speċi ta’ robot ta’ raġel li suppost seta’ jikteb. Konvint li dan ir-robot kellu messaġġ mingħand missieru, Hugo jagħmel minn kollox biex isewwih. Jisraq biċċiet mekkaniċi, iżda jinqabad minn sid ta’ ħanut tal-ġugarelli, Papa Georges (Ben Kingsley), li jieħu l-ktieb tan-noti ta’ Hugo li fih kellu disinni kif se jsewwi r-robot. Biex jerġa’ jieħu l-ktieb tan-noti, Hugo jsegwi lil sid il-ħanut f’daru u jiltaqa’ ma’ Isabelle (Chloë Grace Moretz), iltima tamparu u l-filjozza ta’ Georges. Twiegħdu li se tgħinu. L-għada, Georges jagħti koċċ irmied lil Hugo, u jgħid li dawk kienu l-fdal tal-ktieb, imma Isabelle tgħidlu li l-ktieb ma kienx inħaraq. Fl-aħħar iħalli lil Hugo jieħu l-ktieb lura jekk jaħdimlu sakemm ipatti għal dak kollu li kien seraq. Hugo jaħdem fil-ħanut, u biż-żmien jirnexxilu jsewwi r-robot imma jkun jonqsu biss parti waħda, ċavetta f’forma ta’ qalb. Hugo jintroduċi lil Isabelle għall-films, xi ħaġa li parrinuha ma kienx iħalliha tara, filwaqt li hi tintroduċi lil Hugo għal ħanut tal-kotba li sidu (Christopher Lee) għall-ewwel ma jafdax lil Hugo. Isabelle ikollha ċ-ċavetta tar-robot. Meta jużaw iċ-ċavetta biex jattivaw ir-robot, dan jipproduċi tpinġija ta’ xena ta’ film, iffirmata minn Georges Méliès. Hugo jiftakar li dak kien l-ewwel film li kien ra missieru (Voyage to the Moon) u Isabelle tagħraf il-firma ta’ parrinuwha, Papa Georges, u t-tnejn joħduha d-dar għal iktar spjegazzjoni.Hugo juri lil mart Georges, Mama Jeanne (Helen McCrory) it-tpinġija li għamel ir-robot, imma ma qaltilhom xejn u ħbiethom ġo kamra meta wasal id-dar. Filwaqt li kienu mistoħbijin, Isabelle u Hugo sabu gabinett sigriet u minnu ħarġu stampi ta’ Georges – il-ħsejjes jismagħhom Georges, li jirrabja ħafna u jkeċċi ‘l barra lil Hugo għax iħossu tradut. Sid il-ħanut tal-kotba jagħti ktieb lil Hugo u Isabelle fuq l-istorja tal-films u jistagħġbu kif l-awtur, Rene Tabard (Michael Stuhlbarg), jgħid li Méliès kien miet fl-Ewwel Gwerra Dinjija. Tabard jippreżenta ruħu hu nnifsu, u t-tfal jgħidulu li Méliès kien ħaj. Tabard, li kien iħobb il-films ta’ Méliès, kellu kopja ta’ Voyage to the Moon, maħsuba li kienet l-aħħar kopja ta’ film ta’ Méliès. Hugo jikkonvinċi lil Tabard imur id-dar ta’ Georges. Dak il-lejl Hugo joħlom li ttajjar minn ferrovija meta jipprova jieħu ċ-ċavetta f’forma ta’ qalb mil-linja tal-ferrovija, ri-kreazzjoni tax-xena tal-inċident ta’ Montparnasse. Meta jqum, jisma’ ħoss qawwi ta’ tektik u jinduna li ġej minn sidru u f’daqqa waħda jieħu l-forma ta’ robot, sakemm imbagħad iqum. Hugo, Isabelle u Tabard imorru d-dar ta’ Georges, u għall-ewwel Jeanne tgħidilhom biex imorru qabel ma żewġha jqum. Iżda, Jeanne taċċetta li jaraw Voyage to the Moon meta Tabard ifaħħarha bħala attriċi sabiħa fil-films ta’ Georges. Kif jintemm il-film, jidher Georges li jispjega kif beda jagħmel il-films, kif ivvinta l-effetti speċjali, u kif tilef il-faxxinu tal-films meta bdiet l-Ewwel Gwerra Dinjija, wara li kellu jbigħ il-films bħala kimika biex jaqla’ l-flus, u kellu jiftaħ ħanut tal-ġugarelli biex ikun jista’ jgħix. Ħaseb li r-robot li kien ħoloq kien spiċċa fin-nirien tal-mużew u ma kien baqa’ xejn mill-ħidma ta’ ħajtu. Hugo imur lura l-istazzjon biex iġib ir-robot, biex jagħti sorpriża lil Georges, iżda l-ispettur tal-istazzjon (Sacha Baron Cohen) bil-kelb iwaqqfu. Hugo jaħrab u jmur fil-quċċata tat-torri tal-arloġġ u jaħrab billi jitla’ fuq il-minutieri tal-arloġġ. Kif l-ispettur jitlaq, jitlaq jiġri bir-robot, imma l-ispettur jonsbu u jarmilu r-robot fuq il-linja tal-ferrovija. Hugo kważi ttajru ferrovija imma uffiċjal isalvah u jżommu fil-kura tiegħu. Hugo jitlob lil uffiċjal iħallih, jasal Georges u jgħidlu li Hugo kien fil-kura tieghu. L-uffiċjal iħallih imur. Fl-aħħar tal-film, Georges jintroduċi ċerimonja li fiha ningħat rikonoxximent lill-films tiegħu b’Tabard iħabbar li iktar minn 80 film instabu jew ġew restawrati. Georges jirringrazzja lil Hugo għal dak li jagħmel u jistieden lill-udjenza ssegwi l-ħolma tiegħu, “follow his dreams”. Kif nagħmlu l-ħbieb. Naqsmu l-esperjenzi. It-telfa ta’ dawk li jħalluna. Q: What’s the message/theme of this movie? A: Everyone has a purpose. Machines don’t have any extra parts, and neither does our world. Everyone has something they can do that no one else can, and we do a disservice to ourselves if we don’t take the time to find out what that is. Q: How should we react to this movie? A: We live in a media-driven society that constantly bombards us, telling us that we have to conform in order to belong. We should values our differences and and make use of them. I always have trouble being jealous of other people’s talents. I wish I could sing, I wish I could dance, I wish I could build. At times like these, it is important to remember that my life has a specific purpose. For what I’ll need to do, I won’t need to dance, or sing, or build. I’ll just have to leave that to singers, dancers and builders! Q: How do you suppose we—as serious Christ-followers—should react to this movie? A: We live in a media-driven society that constantly bombards us, telling us that we have to conform in order to belong. But the Bible tells us differently. Instead, God values our differences and encourages us to make use of those differences. We all make up the body of Christ, and no part is any more important than any other. God loves us as we are, for who we are. Q: How can we move from healthy, Bible-based opinions about this movie to actually living out those opinions? I always have trouble being jealous of other people’s talents. I wish I could sing, I wish I could dance, I wish I could build. At times like these, it is important to remember that God created me specifically for a specific purpose. For what I’ll need to do, I won’t need to dance, or sing, or build. I’ll just have to leave that to all the singers, dancers and builders God created! Ways of seeing – ‘inventing the world of Hugo Cabret’. How the illustrations have been adapted for the big screen. Make an automaton. 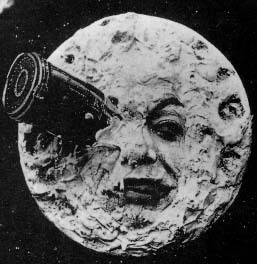 ■ Who was George Méliès? 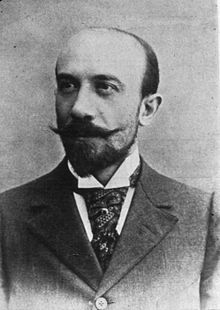 Research the life of Méliès and then think about how he is portrayed in the film. ■ The Beginnings of Cinema. Explore early examples of ‘silent film – not only George Méliès but also films from the Lumiere Brothers and Louis Le Prince. Think about how the cinema experience has changed and what they enjoy about 3D films. ■ The local cinema and its importance in the local community over time. The clip features an automaton, i.e., a kind of robot, or machine man—the unification of man and technology. Is Scorsese living an alchemist’s dream? The shot ends with a close-up of a crucifix-shaped opening in a big clock above the station hall. Behind it, a boy hides and looks down at the travelers. He has no parents; his father died in a fire, his mother is mentioned only briefly. But, as is often the case in Scorsese’s films, he is surrounded by pseudo fathers. The first one is a law upholding station inspector; the second a drunkard in the role of Dickensian (perhaps also Brechtian) capitalist exploiter; the third a book dealer who acts as a representation of high modernist culture; and, finally, Méliès. Who or what does he represent? At one point in the film, Hugo saves the automaton from being run over by a train. How are we to interpret this scene? The train is the Lumière train that is still roaring through history. It has accumulated into a mainstream art industry that garners billions of dollars each year. In its quest for big money, it has swayed far from the ideas and visions that inspired great artists such as Méliès. Hugo represents that spirit. The automaton he picks up right before the train runs it over represents the products of those artists, film as an art form rather than as a money making industry. Incidentally, Hugo is almost run over himself, but none other than the station inspector pulls him up from the tracks at the last moment. It is the Law’s seal of approval of his quest. While it represents a suitable holiday treat for most, though, director Martin Scorsese’s film includes fleeting passages of dialogue touching on adult matters and some mild misbehavior that hinder recommendation for all. Scorsese’s canvas is broad and crowded, but at its center stands the diminutive figure of the title character (Asa Butterfield), a 12-year-old orphan who passes a hand-to-mouth existence in one of the City of Light’s great train stations. 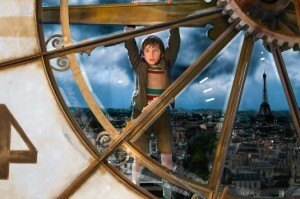 Early scenes only gradually reveal the circumstances that have left Hugo in this precarious and vulnerable situation. Following his beloved father’s death in a fire — his mother’s demise had taken place some years previously — Hugo was taken in by his drunken Uncle Claude (Ray Winstone), who lived and worked in the terminal servicing its many clocks. Claude, however, has subsequently disappeared. To disguise the fact that he no longer has a guardian — and so avoid being shipped off to an orphanage by the seemingly merciless officer responsible for station security (Sacha Baron Cohen) — the mechanically gifted lad clandestinely carries on Claude’s labors. 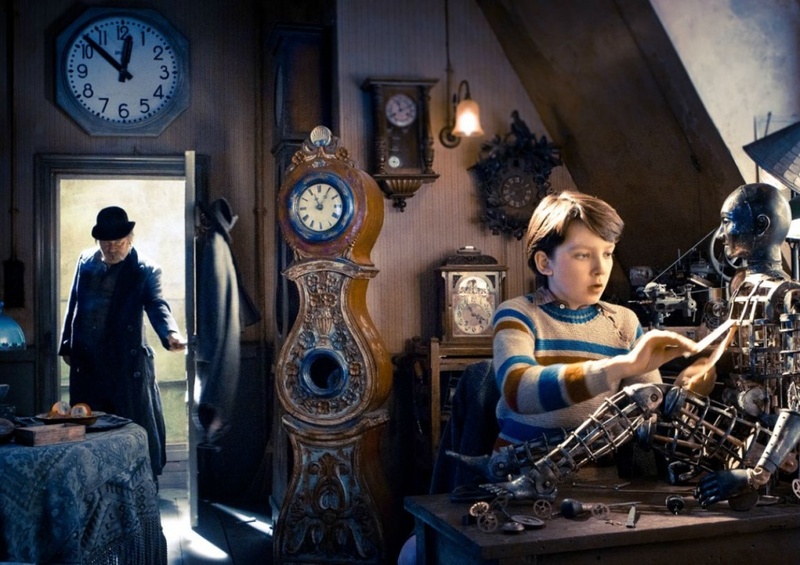 In his spare time, Hugo draws on the same talents in his struggle to repair a mysterious automaton he and Dad had been tinkering with at the time of the latter’s death. Knowing that, when operative, the automaton is able to write, Hugo feels sure that his father will use the primitive robot to send him a message from beyond the grave. Driven to shoplift the spare parts needed for his project, Hugo incurs the wrath of Georges (Ben Kingsley), an embittered toymaker who keeps shop within the terminus. But he draws a very different reaction from Georges’ adopted daughter Isabelle (Chloe Grace Moretz), a vivacious girl of his own age — as well as a fellow orphan — who swiftly befriends him. These primary proceedings are embellished by the amusing romantic endeavors of Baron Cohen’s increasingly sympathetic, though enduringly nameless, character as well as those of two more peripheral figures. Along with his paean to the wondrous city by the Seine and to the realm of the imagination — a territory of dreams and eccentric inventiveness that the film skillfully navigates — Scorsese uses late-reel plot developments concerning Georges’ mysterious past to celebrate the pioneers of early cinema. 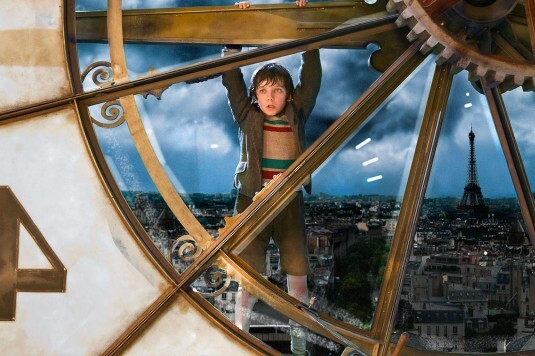 Yet, while childlike in many respects, “Hugo” does raise a few red flags for the youngest. A brief side story, for instance, concerns a policeman who doubts the paternity of the child his wife is carrying and there’s also a scene where Hugo — whom we’ve seen pilfering food stands for survival — picks the lock of a movie theater so that he and Isabelle can sneak in for free. Additionally, kids might be frightened by Hugo’s more spectacular — sometimes life-threatening — scrapes. 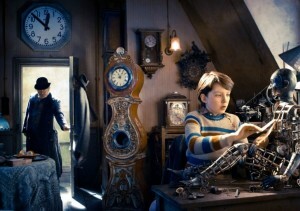 For teens and their elders, nonetheless, and especially for film enthusiasts, “Hugo” manages to cast a charming spell. The film contains a few mature references, occasional peril and some implicitly endorsed petty lawbreaking. The Catholic News Service classification is A-II — adults and adolescents. 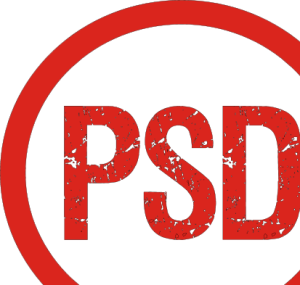 The Motion Picture Association of America rating is PG — parental guidance suggested.